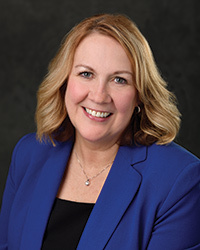 Mary Alison Smania, DNP, FNP-BC, AGN-BC, FAANP, is a board-certified family nurse practitioner and advanced genetics nurse and assistant professor, Health Programs, at Michigan State University College of Nursing in East Lansing. The study of genetics and breast cancer has rapidly advanced in the past decade. Genetic testing used to look at only 1 or 2 genes, but now panel, or multigene, testing is available. With estimates of approximately 252,000 new breast cancer diagnoses every year and 3.5 million breast cancer survivors,1 oncology nurses should assess whether patients are candidates for genetic testing for both their family members and themselves. As essential members of the healthcare team, oncology nurses can identify patients who may be at risk for a genetic mutation and can significantly improve care for these patients and their families. Up to 10% of those diagnosed with breast cancer may have a genetic mutation. The 2 most common genetic mutations associated with breast and ovarian cancer, BRCA1 and BRCA2, were identified almost 20 years ago. Since then, research and improvements in genetic testing have found mutations in other genes that are associated with breast cancer. Next-generation sequencing has increased the ability to iden­tify several genes in a short period. Although these genetic mutations are much less common and do not seem to increase risk as much as BRCA1 and BRCA2, it is still important to iden­tify the risk and potential impact on patients and families. WHO SHOULD ONCOLOGY NURSES REFER FOR TESTING? Assessing patients for breast cancer risk begins with gathering their personal and family histories. Determine if the patient is at risk, and if they are, refer them for testing. Along with evalua­tion for risk, it is essential to explain to the patient why genetic testing can guide treatment, potentially saving the lives of the patient and their family members. American Cancer Society. Breast cancer facts and figures 2017-2018. ACS website. cancer.org/content/dam/cancer-org/research/cancer-facts-and-statistics/breast-cancer-facts-and-figures/breast-cancer-facts-and-figures-2017-2018.pdf. Published 2017. Accessed September 7, 2018. Bernstein, JL, WECAREStudy Collaborative Group, Concanon, P. ATM, radiation and risk of second primary breast cancer. Int J Radiat Biol. 2017 Oct;93(10):1121-1127. doi: 10.1080/09553002.2017. NCCN Clinical Practice Guidelines: Genetic/Familial High-Risk Assessment: Breast and Ovarian Version 2.2019. NCCN website. nccn.org/professionals/physician_gls/pdf/genetics_screening.pdf. Published July 30, 2018. Accessed September 7, 2018. Wang Y, Dai B, Ye D. CHEK2 mutation and risk of prostate cancer: a systematic review and meta-analysis. Int J Clin Exp Med. 2015 Sep 15;8(9):15708-15. Slavin, TP, Neill-Swiller, M, Solomon I, Nehoray B, Rybak C, Blazer KR, Weitzel JN (2015). Clinical application of multigene panels: Challenges of next-generation counseling and cancer risk management. Front Oncol. 2015 Dec 2;5:271. doi: 10.3389/fonc.2015.00271. Antonis AC, Casadei S, Heikkinen T, Barrowdale D, Pylkas K, Roberts J et al. Breast-cancer risk in families with mutations i ALB2. NEJM, 2014 371(6) 497-506. doi: 10.1056/NEJMoa1400382.